Yeah, it was a good weekend. Here are the books I picked up during the first signing session at ConFusion 2019. Also some I picked up while talking to various folks at the convention. From top left, and going through in order. I would have picked up many more, but I was in a panel during the second book signing session. Fortunately I took many notes, so I was able to order the ones I missed. They will be in a separate blog post. 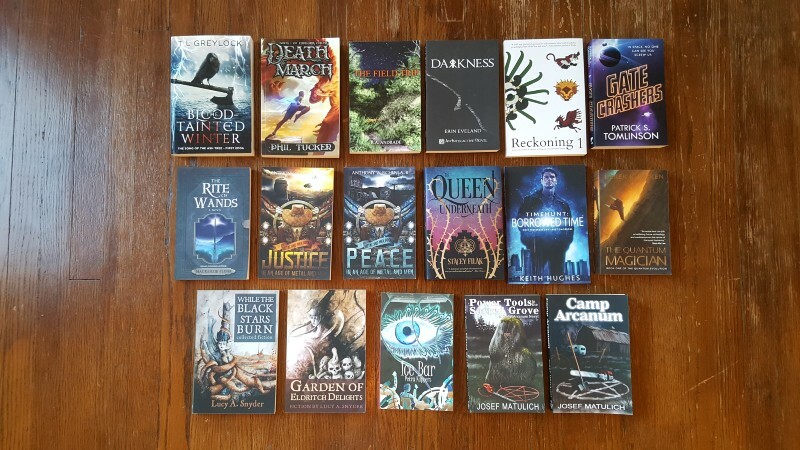 Other than Reckoning and Gate Crashers, all of them were signed by the authors.